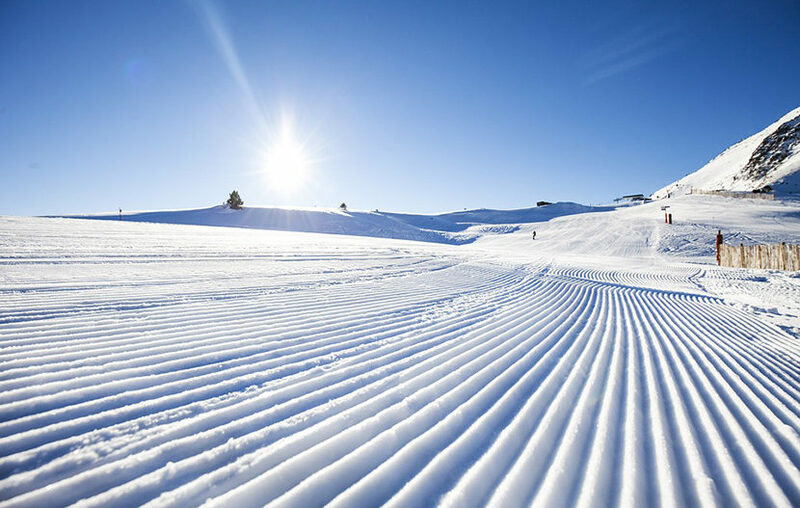 All ski waxes are designed to reduce friction and last as long as possible at different temperatures without being reapplied. This is easer to do with different types of wax because the types of friction change depending on the temperature of the snow and shapes of the snowflakes. No. Really. Warm temperature ski wax is softer and adheres easily to the porous bases of your skis and snowboards. Because of this it lasts longer and is not easily worn away. This is good for dealing with wet granular snow in warmer conditions. But this would not be good for dealing with snow in cold and dry conditions. As you ski or ride in warm temperatures the snow melts slightly from the friction of the base of your board sliding across the snow. This creates small amounts of water which creates a suction type friction slowing you down. Warm temperature wax works by repelling the water much faster and easer than just your bare bases can. This reduces drag and increase their performance. Cold temperature wax is harder and does not adhere as easily to the porous bases of your skis and snowboards. This means this wax will need to be applied more often as the dry sharp snowflakes scrape the bases it wears off faster. In colder conditions the snowflakes are not wet or granular they are dry, pointed and jagged like a perfect looking snowflake. These sharp snowflakes would stick to this softer warm wax creating friction from drag and slow you down. Cold temperature wax works by smoothing out the microscopic porous basses by filling in small gaps in allowing you to polish the surface smooth. This reduces drag and increase their performance. As you ski or ride in cold temperatures the pointed and jagged powdery snow scrapes along your porous bases creating friction slowing you down. All temperature wax has been designed to be the best of both worlds but that means it does not operate very well at either extreme. It has been blended to work best at temperatures between very very cold and very very warm. Because of the way these temperature specific waxes are blended they each perform optimally at different temperatures. So the short answer would be to buy one bar of each specific temperature wax and use them as the temperatures and types of friction change to create the best glide.